Missed out on Flappy Bird? Well here’s another chance to play it, but you’ll need a PlayStation Vita to do so. By now you’ve probably heard of the strange tale of Flappy Bird, a bite-sized game about tapping a tiny fluttering bird through a series of pipes that quickly became a smartphone superstar, which then caused its creator to unfortunately succumb to the pressures of new-found success and soon after pull the game from both the iOS and Android marketplace. Only those who managed to download the game while it was still available can still play it, making this whole Flappy Bird occurrence all the more alluring for those who missed out. Thankfully, there are means to play the game aside from the typical hacking routes, especially if you own a PlayStation Vita and a copy of LittleBigPlanet. 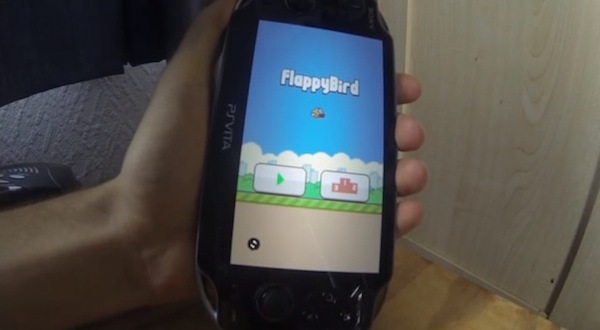 YouTube user simsim001 has somehow managed to port Flappy Bird to the PS Vita version of the MediaMolecule title – which oh by the way, is pretty good in its own right – and it appears to be a flawless recreation. Somehow simsim001 even allowed for the game to be played vertically in its proper mobile phone format. You try out simsim001’s version of Flappy Bird right now through the means above, and then you too can say “huh, so that’s what all that hub bub was about?” and then never play it again.